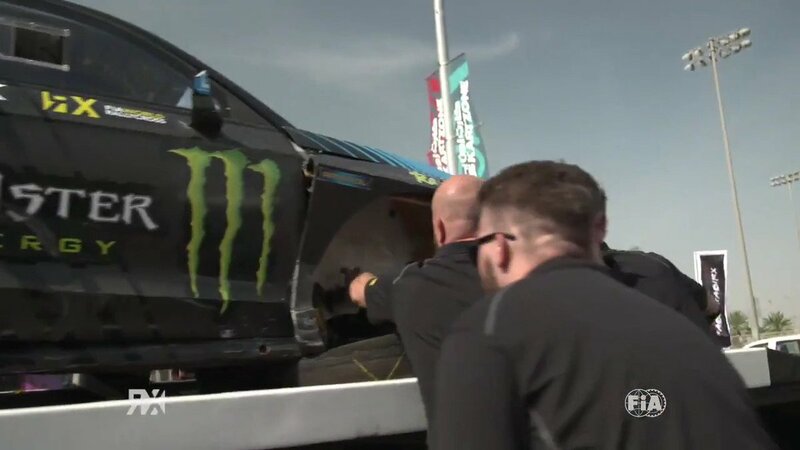 There are just two and a half weeks to go until the 2019 FIA World Rallycross Championship season finally gets underway at Yas Marina Circuit in Abu Dhabi and teams are working hard as they go through the final preparations stages. At the MJP Arean Fuglau circuit in Austria, 2018 FIA European Rallycross Championship for Super1600 Champion Rokas Baciuska got his first taste of the ESmotorsport - Labas GAS Skoda Fabia on a rallycross circuit ahead of his World RX debut yesterday. He is continuing to drive today, sharing seat time with the team’s test driver, Kevin Abbring. 😍😍 Take a first look at @RBaciuskaRX in green! Over in France, GC Kompetition and GCK Academy are completing final running at the Dreux circuit. Yesterday France’s Cyril Raymond and Belgium’s Guillaume De Ridder drove the Renault Clio RS RX they will race in 2019 and were accompanied by GCK drivers, Sweden’s Anton Marklund and France’s Guerlain Chicherit, who are also completing the final pre-season testing phase for the Renault Megane RS RX. “Felt great to receive such positive feedback (and vibes) from our test today in France. Both the GCK and Academy guys are extremely motivated for the season ahead. Another one tomorrow before we wrap it all up ahead of Abu Dhabi,” said GCK Team Manager Karl O’Sullivan. The team was also seen simulating jumps in its testing sessions last week. In more wintery conditions, Britain’s Oliver Bennett made his Supercar Lites debut in the RallyX on Ice series in Sweden, where he took on a number of RX2 International Series drivers and World RX names, including former World RX of Germany winner Kevin Eriksson, but in poor weather conditions, Bennett crashed out in the semi-finals. “It was a depressing end to the day. In the semi-final I was running in P3 which would have got me into the final and then with a lap to go I ate a snowbank big time. I couldn’t see where I was going. It was great seat time and fun to have my first go in a Lites car.” Bennett will race the Xite Racing Mini Cooper he will drive in World RX this year at the first round of the British Rallycross Championship this weekend at Silverstone. World RX brothers Timmy and Kevin Hansen began their career as team owners with the Yellow Squad by Hansen Cross Car team in RallyX on Ice, but running was cut short due to the poor weather. With the next ice race taking place on Wednesday, there is no time to rest for the Swedish brothers, as right now they are heading straight to France to test the Peugeot 208 WRX they will race for Team Hansen MJP in World RX this year. The wait for the real action to begin is almost over.